Sitting for long periods of time and possibly developing lower cross syndrome means that your abdominal muscles and your gluteal muscles will have become weak. It is important to strengthen these muscles if you are going to improve your posture and reduce your low back pain. 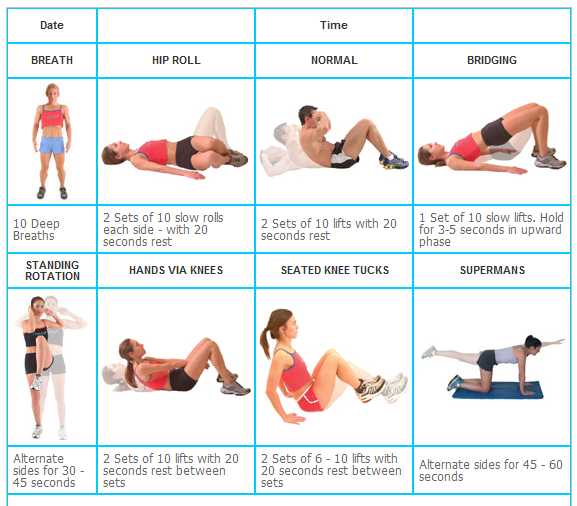 There are many different types of exercises for the abdominals and the gluteal muscles. What is important to note is the intensity of each exercise and the number of repetitions to perform. If you are new to the exercise and have not engaged in physical activity for some time, it is important to begin slowly, performing exercises that are easier at the beginning of your strengthening program. As you improve your strength, you will be able to choose more difficult exercises and perform more repetitions. To obtain endurance for the abdominals and gluteals, it is recommended that you perform more repetitions with less weight. 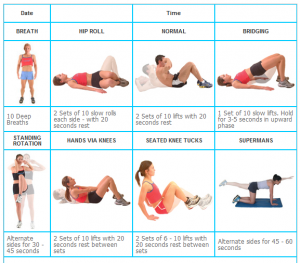 Describing all of the precautions for these exercises would take too long to explain so if you are unfamiliar with which exercises to perform and how to do them correctly, I would suggest the help of a qualified personal trainer. They will make sure that you are performing the exercise correctly and can provide you with the number of repetitions and types of exercises that are right for you.